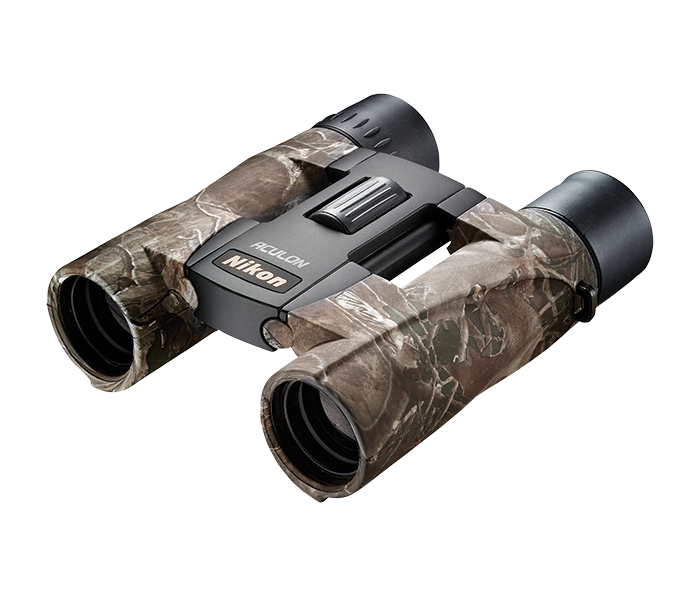 A compact, lightweight roof prism binocular, the ACULON A30 10x25 TrueTimber® KANATI is perfect for the hunt where you need to pack light. A smooth central focus knob, multilayer lens coatings and dual-hinge design are among its notable features. The body design of the ACULON A30 makes it easy and comfortable to hold throughout periods of extended use. Dual hinge design makes it easy to fit in a pocket. Nikon's lens multicoating enhances image brightness. The environmentally-friendly lenses deliver astonishing clarity and precision in a lighter-weight, lead and arsenic-free glass composition.